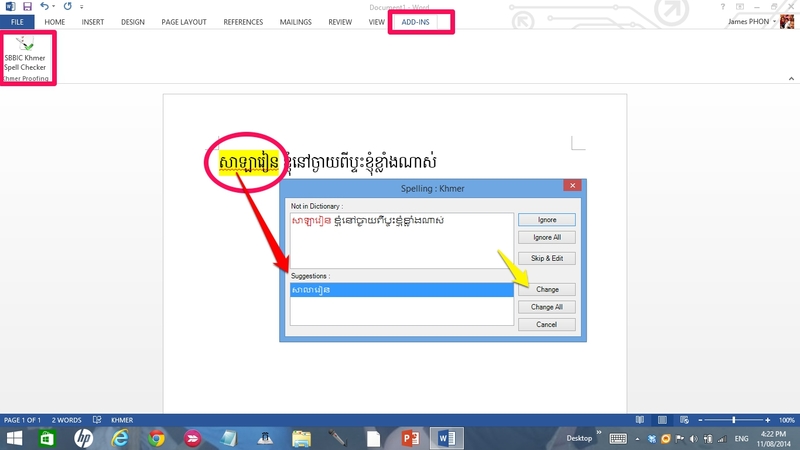 Download a free Khmer Spelling Checker for Microsoft Word 2010-2013 today (Windows only)! 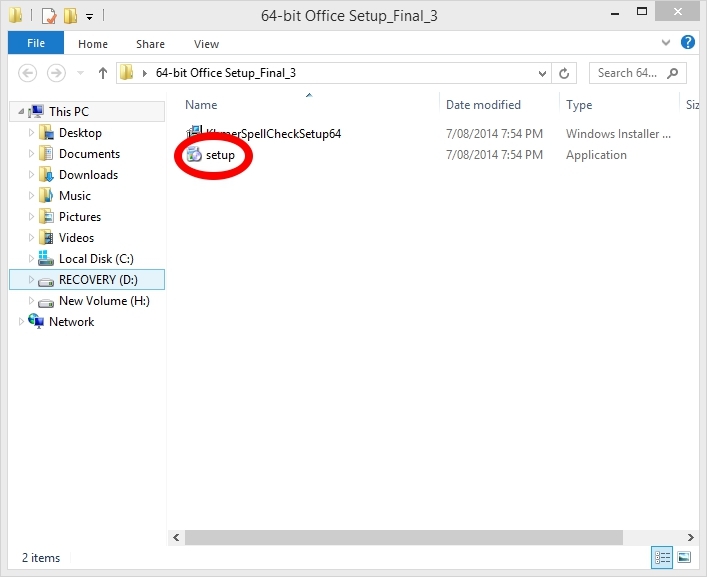 Open an Office 2013 program. Open an Office 2010 program. This add-in was not free to develop, so if you find it useful, please consider making a donation to SBBIC to cover development costs. Thank you! 3. After installation, reload your Ms.Word. Then start typing your Khmer documents (with a zero-width space between each word). Next go to ADD-INS > SBBIC Khmer Spelling Checker. Ohh, Thank you so much. Sorry you are having trouble downloading the program. If you try a download manager or Firefox you might have better success if the download keeps timing out. អ្នកនិយាយហាក់ដូចជាខ្ជិលនឹងហារមាត់និយាយ ប្រើ”អឺកៗ និង “អ៊ីចឹង” ដែលធ្វើឲ្យពិបាកក្នុងការតាមដានស្តាប់ ហើយគ្រវី Cursor ចុះឡើងៗ ដោយមិនចាំបាច់។ ខ្ញុំតម្លើងរួចហើយ តែអត់ឃើញមានចេញអ្វីទាំងអស់ ? ?